Dolphinia.net is a domain owned by Daynah which displays all aspects of her life, not just her geeky side. She loves to be crafty and scrapbook. You can find some of her creative artwork at Scrapp’n! She also enjoys going out and eating a various places. Check out her FoodSpotting for restaurant recommendations and photos of food! 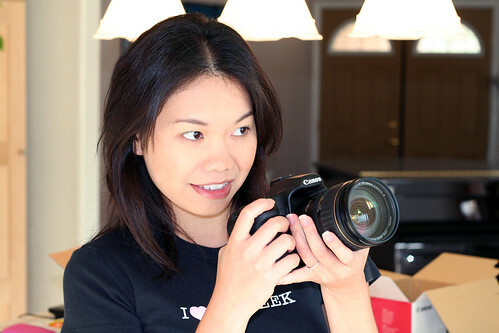 For the techy stuff in her life, check out her Geeklog and portfolio. Daynah is a Web developer / System administrator / Web & Social Media Consultant / Photographer / Event Organizer / Tech Geek. She has over 12 years of experience in XHTML, CSS, PHP, mysql, and Adobe Photoshop. 6+ years of experience with WordPress Content Management System and 3+ years of experience with its predecessor b2 (cafelog). 1 year experience in Adobe Illustrator and Flash. Beatweek Magazine Senior Editor. Twitter – daily updates on various things; mostly geek. Facebook – fan page with discussion board. Google Buzz – newsfeed and random questions to the community. Shelfari – books I’m reading. Qik – Live videos from her cellphones. Viddler – Random videos of her life. Dailybooth – random daily photos. Plurk – quirky and random posts. Blip.fm – music she’s listening to. NerdGirls.com – because she is one. The Guild – because she loves the show! Scrappity Scrap – She loves scrapbooking. You can see a lot of her various crafty projects here. FoodLog – She also loves to eat also. See restaurant reviews, photos of food, and more. Pandora Playlist – I love music. Here’s what I listen too. Affinity Zero – a rock band that she manages. The Days Off Travel Guide – various reviews on travel to places she’s been.